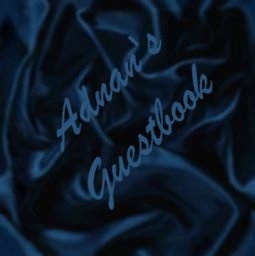 Please enter your guestbook message. Questions and Answers left blank will not appear in the guestbook. What is your fine name? How did you get here? : In my dreams It's my destiny. Lucky !.. I guess ! Aliens from Planet Betoz. Every body is talking about it. Clicked on the wrong button. Lost my way in cyberspace. HELP!! Does it matter? Another guestbook. You told me to. Web search. Friend. Word of Mouth. My shrink advised me... Cause, I really like you ! Submit only once, it takes a few seconds. Thanks for letting me know that you've been here. Tired of filling out forms over and over? Get the Gator - free! Guestbook © - Courtesy of Bravenet Web Services - ALL FREE!